After almost two weeks of spending time in Sri Lanka for the Global Voices Summit 2017, I am back in my den trying to catch up with all the emails and getting back to reality. This is not the first time I have attended one. I was fortunate to be in most of the 7 Global Voices Summits in over 12 years, and GV has truly changed my life, long ago. For me, the summit is not about public days where we delve into more crucial issues of the world trying to discuss, understand, analyze, and learn. 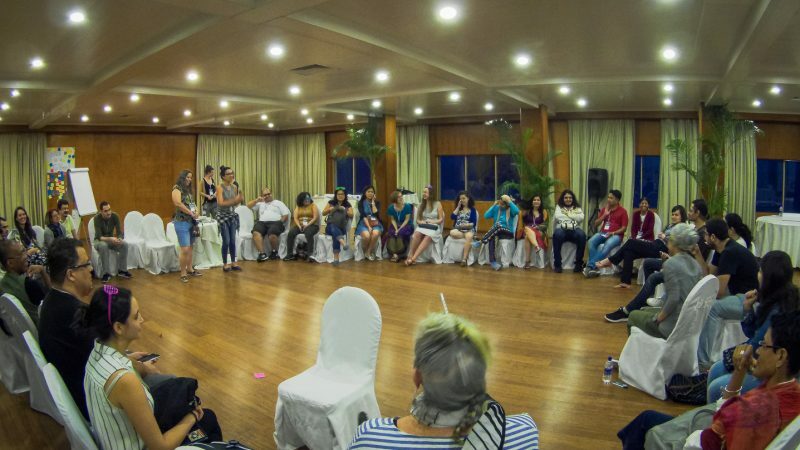 The main attraction of the summit is the GVers from all across the world who we meet and interact during the internal meeting days and more so during dinner or after dinner informal talks, or even during the after summit tours. Every summit I have met and befriended new people from every corner of the world, and have been mesmerized by the sheer passion, talent, and inner beauty of them. Just pick any GVer and you will understand what I am talking about. GVers are not normal people. They talk more than a language, most of them have traveled before, have done something remarkable (maybe they don't know) to change the status quo around them. And there is something else that is common, that I intended to find out. 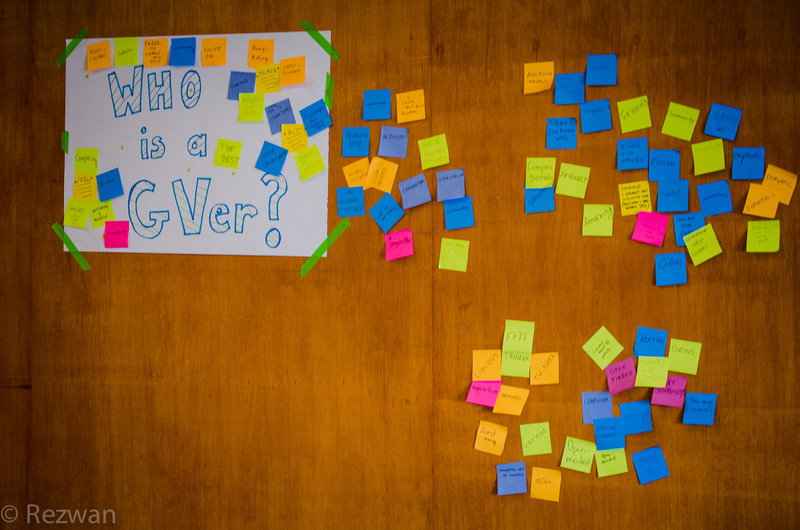 I lead two volunteer communities in GV (one newsroom and one Lingua) and meeting some of the new volunteers was a cherished moment of my life. Working remotely with them do not complete the communication, there is something missing in the relation, the bond, the understanding. Interactions with them during a summit makes it complete and I wish we could bring every contributor to the summit. This summit was remarkable in a way as we tried to do a soul-searching about who we are, why we do what we do and most importantly why we must keep doing it. 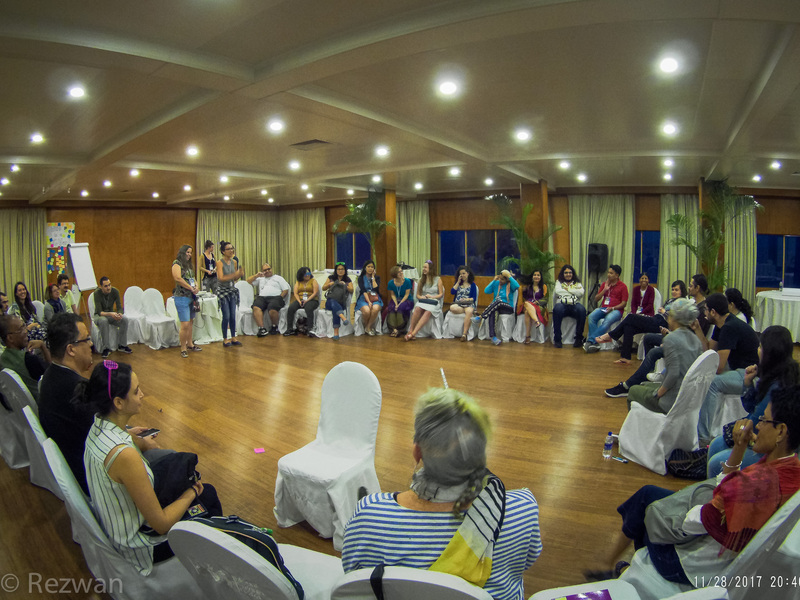 This was made possible in the internal meetings by the graceful Indian documentary filmmaker, media, and human rights activist Stalin K. His playful facilitation, his tunes, vocal and musical instruments kept participants concentrated during the long meetings. I remember him describing that what we do is sheer “magic”. And why we do it? For “humanity”. Is it truly magical? How can we define it by logic? 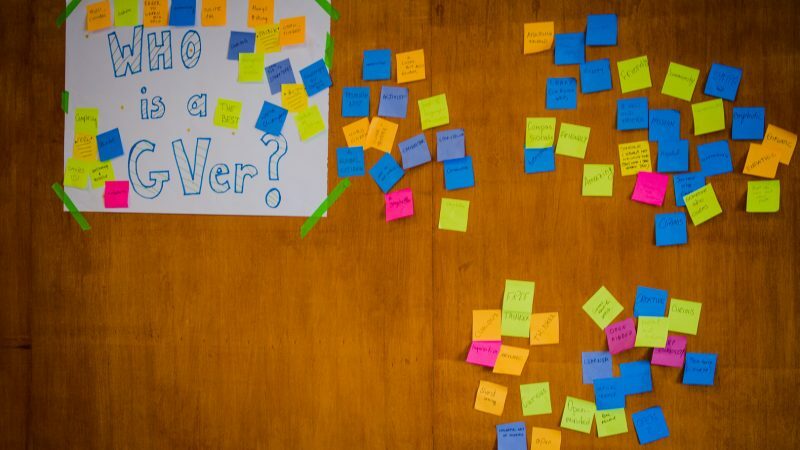 The big question is always why we do it, why we write for Global Voices? Is it a necessity? Or a pleasure or Self-projection? Obligation? Even enlightenment? Is it our narrative desire? Or do we write just for ourselves? On the last day of the internal summit Abdoulaye Bah, one of our senior contributors from Guinea stood up and took the microphone. He spoke about a 29-year-old Eritrean man (Medhanie Tesfamariam Behre) who had been a victim of a mistaken identity and has been on trial in Palermo a year and a half for human trafficking. He was arrested in Khartum, Sudan, by the Sudanese police on May 2016 and was extradited to Italy on a special flight on June 7, 2016. He asked our help to spread the story across the world and sign the petition. He said that he cannot sleep thinking of that guy who is rotting in jail because the authorities mistakenly believed him to be Medhanie Yehdego Mered, known as “The General,” the mastermind behind human trafficking in the Mediterranean over the past few years. The arrival of the presumed trafficker in June 2016. Photo via altreconomia.it. That struck a bit odd, against the flow of the proceedings of the session. Why did Abdoulaye care about the person so much that he talks about it all the time? I did not know much about him. Abdoulaye and his family have seen much sufferings. His father was killed in Camp Boiro concentration camp in Guinea during dictator Ahmed Sékou Touré's regime and his mother had to flee the country with his siblings fearing arrest. From his adopted homeland Italy, Abdoulaye curates an online forum for “Association des victimes du Camp Boiro” for the 50,000 innocent Guinean and foreigners, victims of dictator Sékou Touré. I think he is the kind of person who feels pain for every injustice in the world, and it keeps him awake. In the public summit, I was a speaker in a panel of a side event dedicated to the Threatened South Asian Bloggers and we ran into uncertainties during the rehearsal. The original speaker of the panel, a GVer, mentioned that he feared for his safety and was not comfortable speaking in public. In the place, a Maldivian journalist volunteered to be a speaker and he spoke eloquently about the plights of Maldivian online activists during the event. 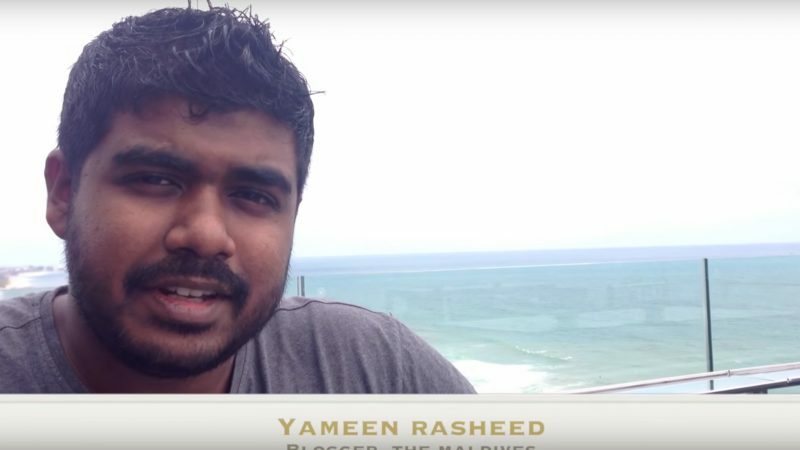 He spoke about his friend and blogger Yameen Rasheed, who was brutally murdered in his home in the Maldives capital Male last April. When the panel ended, one girl came to the panel speakers and started crying. She was Aishath Rasheed, sister of the murdered blogger Yameen Rasheed, who thanked us for remembering him and telling his story to the world. Aisath lost her job as a forensic scientist with the Maldivian police for joining a protest asking for justice about another disappeared blogger Ahmed Rilwan. She has been trying hard to get justice for the murder of her brother. Screenshot from a YouTube interview of Yameen Rasheed by Nepali journalist and blogger Ujjwal Acharya. 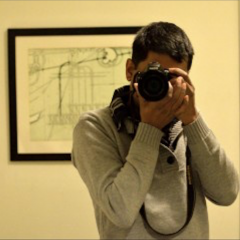 In the following days, I was thinking about the tears in Rasheed's sister's eyes and was reminiscing my post about Yameen Rasheed's murder for Global Voices. Why did I do it? Maybe, because in my home country bloggers were being killed and it felt much pain learning about Yameen's death. So I had to write it, I guess. But isn't it the same story for many of the GVers, who had to write a story that needed to be told? Plays in our innermost blood. Tires us and tires us out. Yes, this imperiled awe is what we carry with us. And we find refuge in this extended family, yes, that's what fellow Gver Nwach Egbunike calls us, surrounding ourselves with the people whom we understand, and belong. There are many challenges in this world. There are many injustices happening every day across the world that prevent us from having a sound sleep. And that's why we must keep on doing what we do as a GVer.